Webseries are a booming breed. The freedom and fairly cheap nature of their creation and distribution has made them a hot commodity for those who scour the Internet for content. 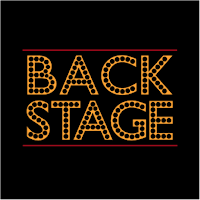 And coming soon to you is another addition to this new breed of creative entertainment: Backstage. This comedy series is set in the rehearsal halls and common haunts of a group of college theatre students in the middle of their production of Hamlet. It stars virtually every theatre kid stereotype you’ve seen and follows the process of the show, from auditions to rehearsals to cast parties in a Parks and Rec-inspired mockumentary style. I’ve read all the scripts for season one and can promise you it’s a funny batch of episodes with characters who have got some serious breathing room to win your heart. I got to get some details on the show and the process behind its creation from writer/director Lauren Johnson, producer Erin K Snider, and Just About Write’s own Chelsea Eichholz, also a producer on the series. Where did the concept for this show come from and was it always meant to be a web series or where you playing with other possible mediums during development? Lauren: The concept of the series came from a combination of ideas that my co-writer Christian and I came up with. I originally wanted to do a web series about a high school theatre department, Christian wanted to do a mockumentary web series about life in college. We combined what we thought was the best of the two concepts: a mockumentary-style web series about a college theatre department. Have you written a web series before? What's the biggest challenge (or challenges) that come with it? And was the added element of comedy (one of the hardest genres to write) help to get a flow or did you find yourself with writer's block at times? 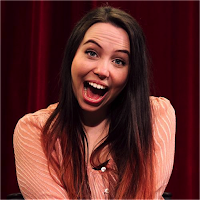 Lauren: I’d played around with webseries concepts before, and had even written some dialogue for some, but this was the first full series that I wrote and finished. One of the biggest challenges of writing a web series is the time restriction. With TV shows you’re usually aiming for 21-30 pages or 40-55 pages. Webseries need to be short, so most of the episodes were between 5-8 pages. I personally find comedy easier to write, my favorite thing to write is funny, witty dialogue and this show is all about that. Webseries are everywhere currently, and you guys have the incentive of being an original show as opposed to the plethora of shows based on classical material (Lizzie Bennet, Carmilla, etc). What else do you think makes this project unique from some of the webseries you've seen? Lauren: Webseries like The Lizzie Bennet Diaries and Carmilla are really great shows that have made all webseries more popular on the Internet over the past few years. However, I’ve noticed that most have followed that format: a vlog-style show that’s based on a classical piece of work. I believe this webseries is so different because all of the characters and the plot are completely original, and we’re doing it mockumentary style. So although it’s not a vlogger talking to a camera, we still have talking heads where the characters talk to the camera directly, so it still has that personal feeling that the vlog-style webseries have. Chelsea: Our format really does set us apart from a lot of other webseries and the fact we have an original concept. We are a college production. What really sets us apart from others though is that we are such a big female crew both in front of and behind the camera. It kind of just came together that way when we were getting a team together, and we love that the overall project will have a female voice. Along with that, because webseries are everywhere a lot of people undertake producing them thinking they'll be quick or easy. What's production (or at this stage, pre-production) like for a webseries, and what do you think is the biggest misstep someone could take when developing one? Lauren: I can assure you that producing this series has not been a quick or easy task. We’ve had our fair share of troubles and bumps in the road already, but with each mishap we learn more about how to make the production run more smoothly. I think the biggest mistake anyone can make when trying to make a webseries is think that it’s going to be easy and to expect viral success. We are going into this production with no idea how the public will perceive the series, or even if it will be noticed at all. But we are not making this series to become wildly famous or rich; we are making it because we want to and we all have a passion for it. Chelsea: Producing any sort of web series or TV show is never an easy task. I think the biggest misstep any production can make is not taking enough time for pre-production. You can never take too much time to plan a production because there is always so much to account for before you can begin shooting, and generally anything that can go wrong will go wrong. It’s not something that you can just go shoot for a couple days and expect it to be good. Luckily, our crew is great and we’ve been spending the better part of the last year preparing everything for a smooth shoot this summer. I understand the writer is also the director. Does that change your directing or writing approach at all? Did you know while writing that you'd also direct it? And were there any surprises already at the table read that you didn't expect while writing? Lauren: Writers who direct have a reputation for not being very lenient on changing the script. However, on the day of the table read, I had an actor ask me, “Are you open to us doing improv?” to which I said “YES!” Of course there are certain parts of the script that the actors will need to stick to, but this show is a comedy and sometimes some of the funniest moments on screen aren’t planned out. My hope is that the actors will have fun playing around with the script and coming up with new ideas and jokes of their own. While I was writing, I had no idea I would be directing. I didn’t even know if the show was ever going to be made, or if it was, I wasn’t sure if I would even get to be a part of making it. I am very thankful though that I not only get to be a part of making the series, but that I get to have a huge hand in it. The table read was a wonderful experience, and hearing the actors bring the characters to life was nothing less than a dream come true. One of the actors in particular at the table read played one of the main characters in the show completely differently than what we had originally planned, but we loved it! You guys launched an Indiegogo page for the series to fund the production. And along with Kickstarter, Indiegogo essentially turns the Internet into your sponsor instead of companies. What's it like pitching ideas to that type of group versus a more traditional sponsorship type? Erin: Anytime you are asking for money, you have to appeal to them in some way. When talking to sponsors, you have to give them something in return such as their logo on your website or their product in your film. With Indiegogo, it's similar. The people still want something in return; it's just what they want is your final project, and also maybe a T-shirt or poster. Indiegogo is a great tool. Not only does it help you raise money, but it also helps you build brand loyalty among your audience. Chelsea: I think for the size of our production, Indiegogo is the perfect source to raise funds for production. We get to keep a lot more creative control than we probably would if we were to partner with a brand. It’ll help us build a relationship with our audience, and it’s great to know that they believe in us and the project enough to give us anything. I love that this cast and the characters are predominantly women, and that it even features budding friendships between women in a situation where competition is inherent. Was this intentional or an organic way the story started to flow? Lauren: This was both organic and intentional! Regarding two of our lead characters, Amanda and Rachel, Amanda is the new girl who immediately gets thrown in the spotlight whereas Rachel is the upperclassmen who runs the department. It would be easy to make Rachel hate Amanda immediately, as most shows would do, but we felt that this wasn’t realistic nor did it feel true to the girls' characters. Instead, Rachel immediately wants to take Amanda under her wing and help her, which Amanda is frightful of, but this causes the two girls to form a friendship. My co-writer, Christian, and I both really believed that this was one of the most important aspects of the story. What are you hoping people take away from this webseries? Lauren: I hope that anybody can laugh and enjoy the series, but I especially hope that theatre kids can find the series relatable. There’s a lot of theatre jokes, and we tried to make the series realistic to how a college production of Hamlet would really go. Hopefully people can recognize that and relate to it, and even those who know nothing about theatre can learn to have a new look on it and can still find the series hilarious and relatable. Erin: The one thing that I hope people will take away from this is that no matter how much of a human disaster you are, you can make things happen. This production started off with a script and three people who just wanted to make something. Now we have a full cast and crew and are looking forward to a successful season! Chelsea: I obviously hope people laugh and fall in love with the show but are also inspired to go out and make content of their own. We all are just friends that came together to make something because we thought it was special and we hope other people can find that as well. Below are some bios on the interviewees and the link to find the webseries when it finally graces our eyeballs on YouTube. For now you can check out their official social media accounts for more info! 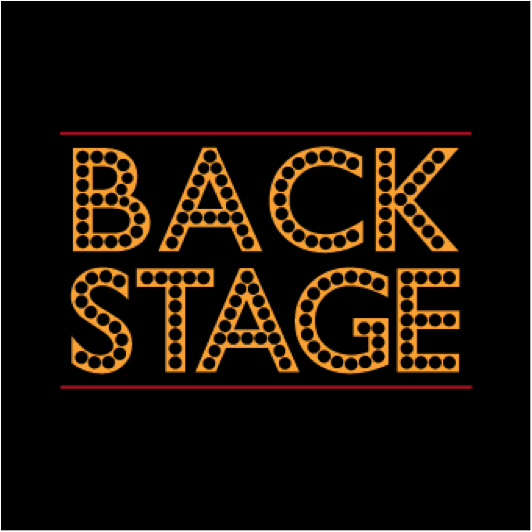 Lauren Johnson is the co-creator of Backstage, and will also be working as the director for the show. She has worked as a producer and editor for various other projects, including the reality television competition show Show-Me Chefs and the short film Mind Over Chatter. 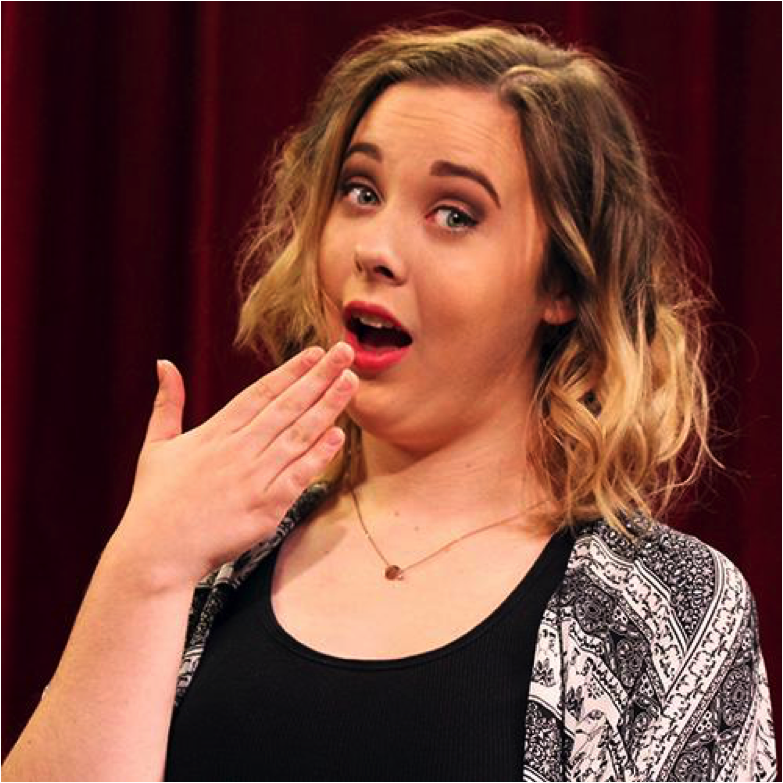 In high school, Lauren was very active in her theatre department, performing in a variety of shows, including Grease, Steel Magnolias, Beauty and the Beast, and of course, Hamlet. In her free time she likes to read, knit, and re-watch episodes of Parks and Rec. 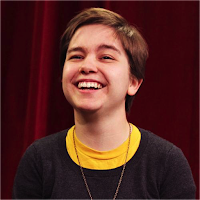 Erin K Snider is one of the producers for Backstage. Although Missouri State University keeps telling her she’s a senior by credit, she’s actually a junior who doesn’t want to graduate early. That’s why she has two minors — one in art and the other in advertising and promotion. Not to mention her major is media production. You might be thinking “What is she going to do with that?” Well, her plan after graduation is to work at an advertising agency and eventually work her way up to creative director. Maybe she will even create a Super Bowl ad one day. But for right now her life just consists of endless amounts of meetings and the rare Netflix binge­a­thon. 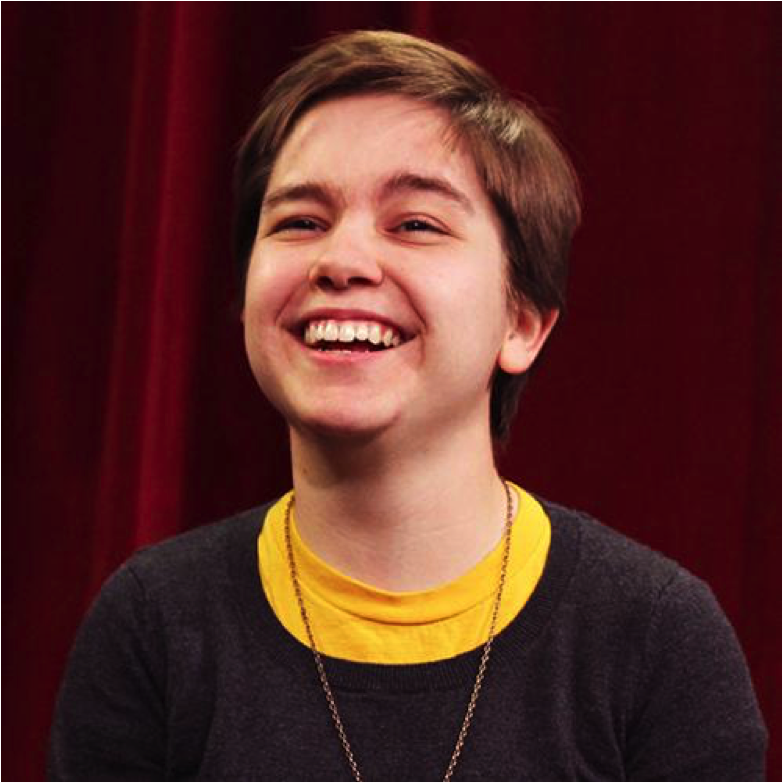 Chelsea Eichholz is one of the producers of Backstage web series. With a mass media production degree from Missouri State University, she is currently pursuing her master’s degree at MSU. Aside from Backstage, she produces the cooking competition program Show-Me Chefs. In her spare time, she loves watching award shows and writing about TV and film on Just About Write. She one day dreams of producing and directing film, but in the meantime, she plans to watch The Golden Girls with her dog, Snoop Cornelius Dizzle.